Eating plans that contain 1,000–1,200 calories each day will help most women lose weight safely. Eating plans that contain 1,200–1,600 calories each day are suitable for men and also may be appropriate for women who weigh 165 pounds or more or who exercise regularly. If you eat 1,600 calories a day but do not lose weight, then you may want to cut back to 1,200 calories. 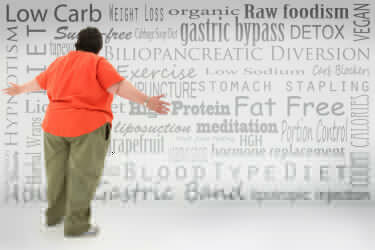 Very low calorie diets of fewer than 800 calories per day should not be used unless your doctor is monitoring you. [i] “Healthy Eating Plan.” National Heart, Lung and Blood Institute. National Institutes of Health, n.d. <http://www.nhlbi.nih.gov/health/public/heart/obesity/lose_wt/calories.htm>. I was excited to see a new study, conducted by researchers at the Mayo Clinic, is adding to the growing evidence that waist circumference – not just body mass index (BMI) – is a key predictor for heart disease, cancer, respiratory problems and premature death. What that basically means is a person may look relatively slim and could have a normal BMI. But if they are carrying extra weight in their abdomen, they are also at an increased risk for premature death, heart disease, stroke and other conditions. In the new study, researchers looked at data from 11 different studies that included more than 600,000 people around the world. They found that men who had waists that were 109 cm (43 inches) or larger had twice the mortality risk than men with waists smaller than 89 cm (35 inches). For men with larger waists, this translated to a life expectancy that was three years shorter than their peers after age 40. Women with a waist circumference of 94 cm (37 inches) had an 80 per cent higher mortality risk than those with waists that were 69 cm (27 inches) or less. For women with larger waists, that translates to a life expectancy five years shorter after age 40. Calculate WHR by dividing the waist measurement by the hip measurement.